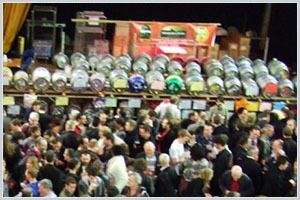 London Drinker Beer and Cider Festival | Pub Quizzers | Find a pub quiz near you, now. Pub quizzes take place at London Drinker Beer and Cider Festival, Kings Cross on Wednesdays (occasionally) at 18:00. Entry is £0.00, you can have up to 4 people on a team. There are prizes of drinks, food. Happy quizzing! Simply collect your quiz sheet at the Festival and hand it in by 8:15pm. The quiz is sponsored by Beerblefish Brewery.